When we think about tackling the biggest diseases in developing countries, we usually first think about diseases like HIV, malaria etc. which are, without a doubt, important diseases to tackle. But we often forget the simplest and most common diseases that still kill the most children worldwide, especially in developing countries like pneumonia and diarrhoea. Pneumonia is the leading killer of children under 5 and responsible for every 6th childhood death. In 2015, every single hour over 100 children died from pneumonia (UNICEF, 2016), totalling up to 920,000 deaths. Pneumonia is a respiratory infection in the lungs that can be caused by bacteria, viruses or fungi. It does not only make breathing painful but also restricts it. Girls and women are more vulnerable to contracting pneumonia, as more than 50% of all pneumonia infections are attributed to inhaled household air pollution (WHO, 2016). According to the WHO (2016), 3 billion people cook and heat their homes with unprocessed solid fuels using open fires causing a total of 4.3 million people to die prematurely each year. Pneumonia only makes up to 12% of these deaths. Other illnesses include strokes, ischaemic heart disease, chronic obstructive pulmonary disease and lung cancer. Pneumonia can be easily treated in countries with sufficient health infrastructure, access to hospitals and health care which is, especially in rural areas of developing countries, not accessible. Therefore, prevention is a crucial part when it comes to improving health in rural areas. One of such prevention methods are smoke-free cooking stoves, as cooking stoves are a major contributor to household pollution. Smoke-free cooking stoves are a wonderful and effective way to prevent these kinds of respiratory diseases. 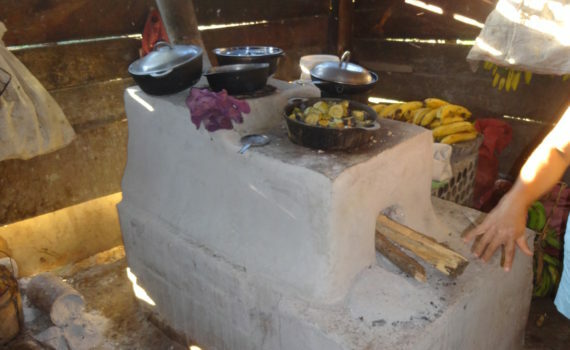 The stoves built by REMO and financed by Sanito on Ometepe, Nicaragua, are not only properly built but also redirect the smoke out of the house through a pipe, reducing household air pollution and, consequently, inhaled fumes. Next to this, they also benefit the environment as they need less solid fuels and are built by local women. Therefore, the project does not only improve health and benefit the environment but also empowers women; this combination is definitely a foundation we should build on. Who is the women’s group REMO and why are we supporting the project „La innovación S.A.“ with the construction of smoke-free cooking stoves? For the construction of smoke-free cooking stoves on Ometepe, Sanito works together with the women’s group or women’s network REMO. REMO is a social movement which was founded by and for women on Ometepe. Together they defend women’s rights whereby they receive local, national and even international support. Every REMO member works on a voluntary basis on projects and takes over various tasks depending on personal possibilities. Their commitment is by choice as the women know that they mainly work to improve their own wellbeing and can support other women only in this way. increasing economic independence and self-occupation of women. 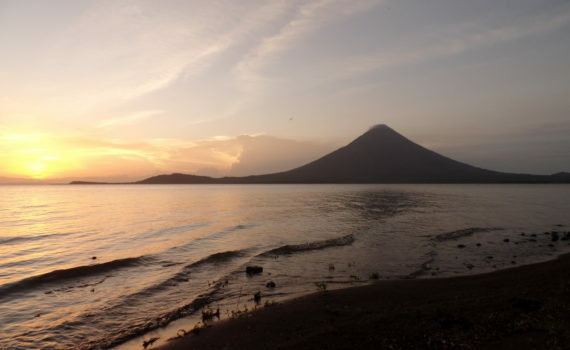 For the execution of their projects, REMO (Facebook page) leases a property in Ometepe in the town of Santa Cruz. The women meet there regularly to organise and carry out various activities. For example, every now and then there is a family movie night or there are events for children and teenagers. In addition, the location serves to financially strengthen the women’s group. On the one hand, REMO runs a small hostel, on the other hand, it operates an organic-intensive vegetable cultivation. The hostel “Espirales” automatically brings autonomous employment opportunities. This way they can secure their income and furthermore generate revenue for social work and workshops. In the garden, they grow staple foods such as rice, corn, beans and local types of vegetables. These contribute to a healthy diet of the women and their families as well as are an additional source of revenue. 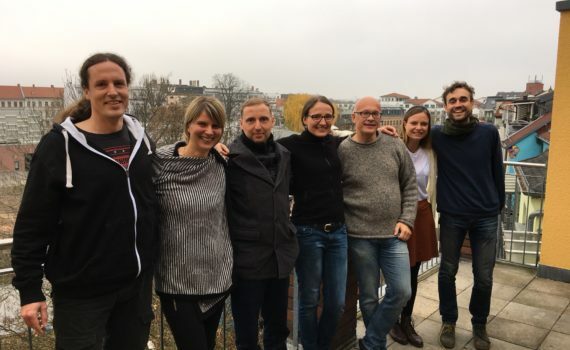 Some members of REMO have received training in building smoking-free cooking stoves and consequently founded the business „La innovación S.A.“. The aim is to market and build innovative cooking stoves on Ometepe. These cooking stoves have many advantages in comparison to open-fire stoves that are usually used for cooking on Ometepe. For example, they direct the smoke via a pipe out of the house and thus, prevent people in the kitchen from inhaling the smoke. By using heat more effectively, they also need less firewood which in turn benefits the environment. Bottom line: Through the women’s training to become small producers of smoke-free cooking stoves, nature is protected and health of Ometepe’s inhabitants as well as women’s economic independence is promoted. We think that’s great and that’s why Sanito wants to promote the stoves’ spread. We want to raise awareness of the benefits of smoke-free cooking and strengthen “La innovación S.A.”. Further, we want that also the poorest of the poor benefit from the cooking zones. Many people, especially single unemployed women, cannot afford such a cooking stove and without your help they could not have a share of the project’s benefits. 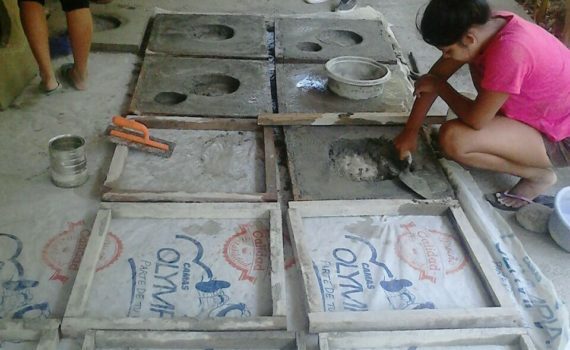 Our partner organization “Asociacion Sanito Nicaragua” builds innovative and healthy cooking pits for and with poor families on the Ometepe island. The cooking pits are built from local materials, they keep the smoke away from the kitchen, reduce the wood consumption and are constructed under participation of the new owners. By combining simple materials, education about the functionality of the cooking pit and the integration of the beneficiaries in the construction process we support independence and health of the people living on Ometepe in the long term. The people living on Ometepe island are cooking mainly with wood on open cooking pits without extracting the smoke to the outside. Thus it spreads throughout the entire house. The consequences are respiratory diseases, headaches, and eye problems. Plastic is used often to light the fire. Thereby the gases are even more poisoning and the people contract severe respiratory diseases, e.g. lung cancer, more often. For the supply of wood the families need to cut down a large number of trees, which reduces the forest resources. 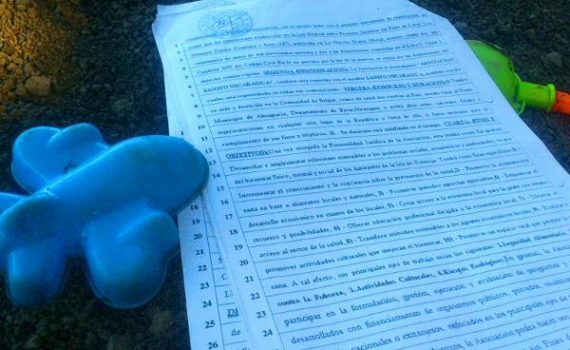 Sanito e.V. supports the construction of sustainable cooking pits, that are built using local resources. Either directly through the form at the bottom of this page: Donate. – plant trees to support the reforestation. – it thereby supports the local economy and the self-organization of women, and consequently further local families will benefit. The construction of a cooking pit will cost about 150€. This includes the costs of materials (concrete, stovepipe etc.) and the costs of the women’s organization “La innovación S.A.”.